This dark purple amethyst mala is made of dark, luxurious, grade A amethyst with large amethyst marker beads, an amethyst guru bead, and handmade silk tassel. These amethyst beads feel wonderful and have lovely energy. 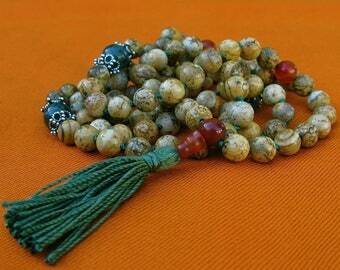 I string this mala with love and prayer on the best nylon-coated beading wire (for strength and flexibility). 10 mm Grade A amethyst markers are placed at the 7th, 21st, and 56th (or top) spots, but you can request different placement. Almost 20 inches long, or 50.8 centimeters. 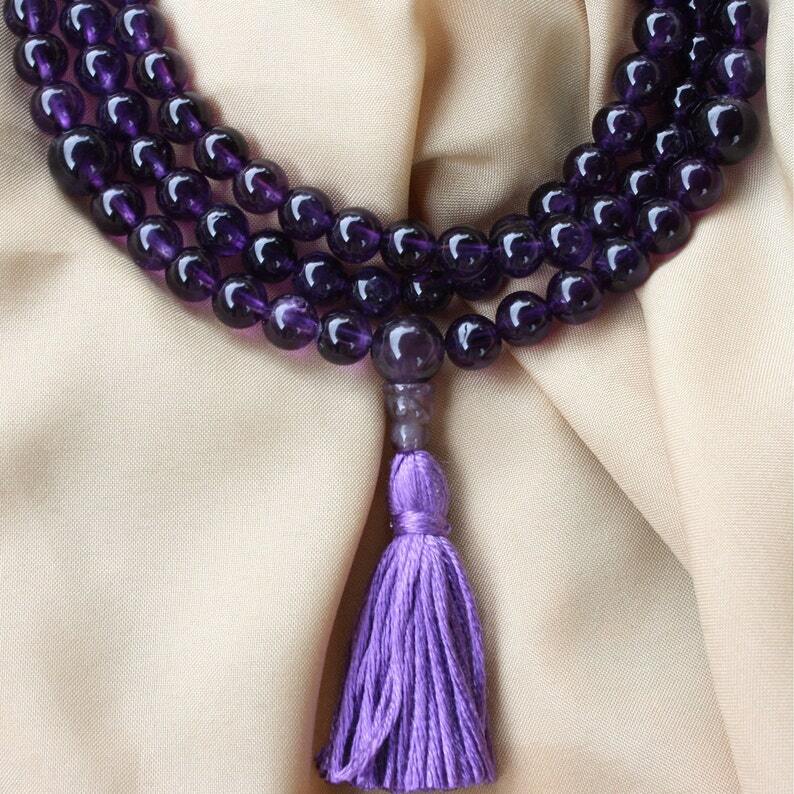 She used very good quality amethyst beads to make this nice mala necklace. It will be enjoyed!